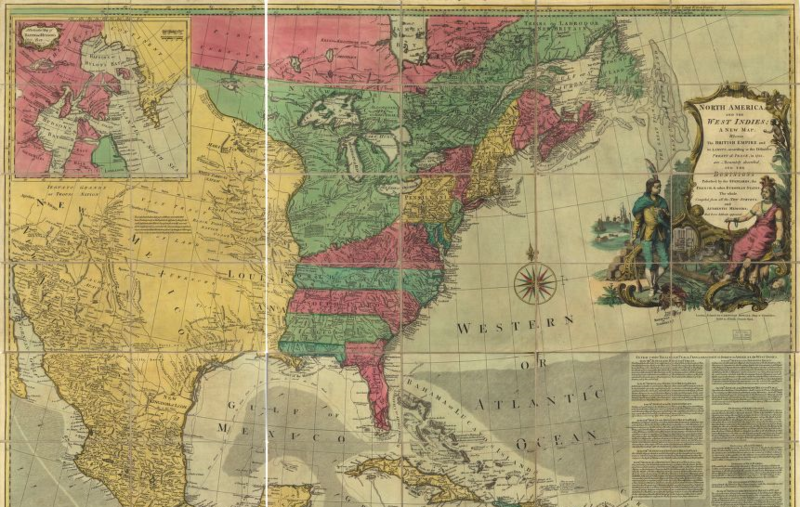 What does the U.S. founding of 1787 look like from an international perspective? When and why did U.S. constitutional democracy matter to the wider world? These questions speak to our current global age. More than that, they offer a starting point for the coming generation of scholarship that has already begun to change our understanding of the U.S. founding. It long has been appreciated that the U.S. founding cannot be understood without consideration of the geopolitical context of the 1780s. One of the greatest failings of the Articles of Confederation was how it left the young polity unable to execute a basic foreign policy at a critical time. U.S. sovereignty was fundamentally challenged after the peace treaty of 1783, not least by its former colonial master. Britain still occupied forts in territory that allegedly belonged to the United States. Other European governments did not trust the United States – and with good reason because under the Articles it proved unable to uphold treaty commitments. These international challenges were inextricably linked to the problem of internal divisions. The Union could have broken into smaller ideologically or regionally defined confederacies (as would happen in 1861). The greatest geographic divide at the time, however, was not north/south, but rather east/west, with settlements beyond the Appalachians or in areas unconnected to port cities threatening to go their own way. There was little reason to expect that the new Union would long endure. For as much as they were expressions of political ideology or republican principles, the founding documents of 1787 were simultaneously exercises in statecraft and diplomacy. We should see the Founding Fathers in Philadelphia in 1787 not merely as nation-builders, but also as diplomats who sought to consolidate their still unfinished Revolution. The Constitution, of course, developed the political structures to empower the new government to engage with foreign powers and to promote overseas commerce. This is the well-known story of the carefully calibrated powers of the executive, legislative, and judiciary when it comes to diplomacy, war, and treaty making. But there is more to the story: the political structures of the Constitution, and just as importantly the political culture that they helped to foster, created a foreign policy tradition toward Europe that prioritized the protection of national sovereignty, but discouraged the aggressive assertion of U.S. principles in Europe. The Constitution aimed to consolidate the gains of the American Revolution, rather than promote them abroad. As far as revolutionary states go, the U.S. was on the unassertive side when it came to Europe – compare to France after 1789 or Russia after the Bolsheviks’ rise to power. The Constitution was aimed at an international audience. We are familiar with the story of the Federalist papers and the domestic salesmanship aimed at securing adoption. But at the same time as Madison, Hamilton, and Jay wrote the Federalist papers, U.S. agents circulated word of the Constitution throughout the capitals of Europe. The aim here was to secure international recognition of the United States by the great powers by demonstrating that it had implemented an effective and responsible form of government. Fortunately, this is a point that is starting to receive the scholarly treatment that it deserves (from scholars such as Peter Onuf, Eligah Gould, Daniel Hulsebosch and David Golove). There is a broader take-away point here: Constitutions are often aimed every bit as much at international audiences as at domestic ones. This is a powerful way of reading the Confederate Constitution of 1861, for example. And we can take this insight into other periods and places, particularly developing nations during twentieth century decolonization. THE NORTHWEST ORDINANCE WAS THE WORK OF AN INNOVATIVE POLITICAL SYSTEM THAT EMERGED AS THE VICTOR IN THE POLITICAL MARKETPLACE OF NORTH AMERICA. Such lines of argument can be extended to other “founding” documents. The same nexus of internal divisions and geopolitical rivalry that conditioned the Constitution also left its mark on the Northwest Ordinance, a forgotten founding document. The specific fear in this case was that the settlers west of the Appalachians would have little reason to remain loyal to the eastern seaboard. In fact, they could pick and choose among offers from different imperial powers and complex alliance systems in what was in effect a North American political marketplace. The weak United States could not compel loyalty. The Ordinance sought to address this challenge through a dual track approach of a carrot and a stick. The stick was the assertion of federal authority over these areas in a territorial phase overseen by a federally appointed and monitored territorial governor. But it was the carrot – the incentivization of loyalty – that was most novel and effective. In exchange for continued loyalty, settlers in these territories were offered a deal that no other power was willing to match: self-government; political equality within the Union; federal support for internal improvements and, perhaps most importantly, the deployment of military power when needed in relations with Native Americans. If anything, inhabitants of the West inverted the traditional colonial model by taking more from the metropole than they gave. Consider political representation, which (in the form of two senators for sparsely populated states) was disproportionate in their favor. The Northwest Ordinance was the work of an innovative political system that emerged as the victor in the political marketplace of North America. It was of lasting global significance in two ways. First, it provided the political blueprint for U.S. expansion across North America and hence provided the political foundations for the emergence of the U.S. as a global power a century or so later. Second, the Ordinance inspired reforms among the other great imperial powers. Its template of incentivizing loyalty through the devolution of political power to the periphery was echoed in the great colonial reforms of the Victorian British Empire that empowered its settler societies (though not colonial dependencies) to exercise home rule and, in so doing, paradoxically accelerated their integration into the British imperial system. These reforms spared Britain 1776 style rebellions in Canada and Australia, thus laying the foundations for the British global power of the turn of the century. What about the flip side of all of this – the overseas impact of U.S. constitutionalism and, later, democracy? We have long known that the American Revolution inaugurated a broader “Age of Democratic Revolutions” in the Atlantic world, as R.R. Palmer put it back in 1959. This was an era marked by revolutions in France, Haiti, across Latin America, as well as major political disturbances in Ireland and Poland, to name only the most prominent. The American Revolution played an inspirational role in many of these revolutions, not to mention the early stage of constitution making. Led by Eduardo Posada-Carbó, historians are beginning to trace the influence of the U.S. Constitution in the new Latin American constitutions of the 1810s and 20s. And it wasn’t just in the Western Hemisphere where the U.S. experiment in constitutional democracy left an early impact. Perhaps the most direct link can be seen in the first written constitution in sub-Saharan Africa – Liberia’s in 1847. THE PRO-SLAVERY UNITED STATES INCREASINGLY STOOD AS AN OUTLIER FROM A GENERAL, IF UNEVEN, TREND TOWARD THE ABOLITION OF CHATTEL SLAVERY IN THE NINETEENTH CENTURY. That being said, there is a danger of overstating the significance of the new Union as a political model in this early period. Consider, for example, the views of Latin American revolutionary Simón Bolívar. Though he admired aspects of Yankee political and economic development, when Bolívar looked abroad for inspiration, he looked not the constitutional democracy of the United States, but rather to the constitutional monarchy of Great Britain. Other foreign observers, particularly those on the liberal or republican ends of the political spectrum, had more sympathy for the United States than did Bolívar. But even these allies turned a critical eye to America when it came to the increasingly aggressive campaign of slaveholders to secure and expand their peculiar institution. The pro-slavery United States increasingly stood as an outlier from a general, if uneven, trend toward the abolition of chattel slavery in the nineteenth century. Slavery and the sectional crisis that its expansion catalyzed undermined the political appeal of the United States in two general ways. First, the inability of U.S. political leaders to resolve sectional tensions and constitutional debates suggested to many foreign observers that there was some inherent weakness to U.S. constitutional democracy itself. This made U.S. democracy an unsuitable template to follow. Second, slavery profoundly diminished the moral standing of the United States. How could the model liberal republic continue to tolerate slavery? Such critiques were advanced not only by foreign observers, but also by those opposed to slavery within the United States. As Lincoln put it in his famous 1854 Peoria speech, “I hate slavery because it deprives our republican example of its just influence in the world – enables the enemies of free institutions, with plausibility, to taunt us as hypocrites – causes the real friends of freedom to doubt our sincerity.” This was not a one-off quote from Lincoln. Throughout the sectional crisis and Civil War, he presented the struggle as one of global significance. In the Gettysburg Address, Lincoln presented the conflict as nothing less than a trial that would determine if “government of the people, by the people, for the people” would continue – not just in the United States, but around the world. LINCOLN BECAME A GLOBAL CELEBRITY AND THE CAUSE OF THE UNION BECAME KNOWN AROUND THE WORLD BECAUSE OF THE HISTORICAL MOMENT IN WHICH THE CIVIL WAR UNFOLDED. Lincoln’s words circulated around the globe. We know that more foreign observers have been introduced to the United States and its form of constitutional democracy through Lincoln than through any other single American. Why did Lincoln and the cause of the Union resonate with so many foreigners? Of the many explanations, three stand out. First, proponents of republican government around the world were engaged in their own struggles of national formation in this period and found common denominators and inspirations in the cause of the Union. In Mexico, for example, Liberals under Benito Juarez successfully repelled imperial forces from France under Austrian archduke Maximillian, in order to reinstitute the liberal 1857 constitution. In Britain, the Union victory inspired advocates of political reform, who agitated for the passage of the Second Reform Act in 1867, one of the landmark reforms of the Victorian age that expanded the franchise and liberalized the English Constitution. Second, there was something about Lincoln himself that attracted the attention of observers abroad. His biography of a self-made man from the frontier who meteorically rose to the presidency resonated in a world still shackled by the old structures of hereditary privilege, monarchical government, and illiberal economics. Lincoln’s rise to greatness personified what was an international process of widening the life chances of the individual. Lincoln’s life story thus spoke to ordinary observers in a way that the biographies of patrician elites of the Revolutionary era, like Thomas Jefferson, did not. Third, Lincoln became a global celebrity and the cause of the Union became known around the world because of the historical moment in which the Civil War unfolded. Lincoln could not have become a global figure, at least in the modern sense, without the phenomenon we now call “globalization.” In the context of the mid-19th century, this meant the harnessing of steam power, the invention of the telegraph, the expansion of printing presses, the formation of increasingly dense webs of communication and exchange – these and more provided the structural pre-condition for modern global celebrity. And herein lay one of the great ironies of U.S. history: the 19th century globalization that promoted U.S. ideas around the world was the product of the power of its old colonial master, Great Britain. Of the many implications offered by an international approach to early U.S. political development, let me conclude by emphasizing one: how we periodize the founding. Rather than a narrow window of the 1780s, an international approach such as the above leads us to think of a broader period from the beginning of the imperial crisis with Britain in the 1760s through the Civil War one hundred years later. If we look at U.S. history this way, it shares traits with many other postcolonial societies that, upon throwing off the shackles of colonial rule, entered into long periods of contested and oftentimes violent national consolidation. As recent events have made clear, far from an exceptional city upon a hill, the United States has evolved in relation to wider historical currents. 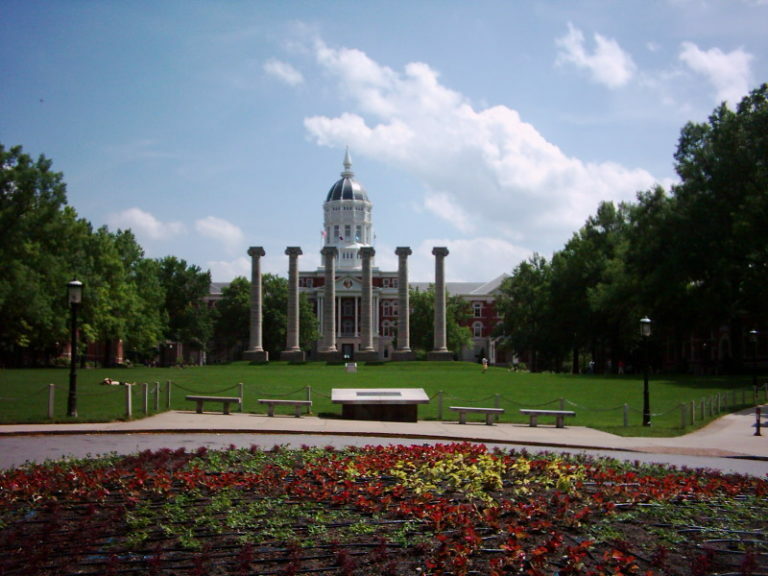 Jay Sexton is Kinder Institute Chair at the University of Missouri.